HARD HITTING DETROIT LIONS FORUM - View topic - Connor Cook? As big a supporter of Stafford as I am/was, I think it's time to at least consider exploring some options. Let me get this straight, I'm not saying that we should move on from him no matter the cost, just that we should see if there is a better option available. I look at the schedule, and I see anywhere between 2 and 5 wins at best. So, chances are, we'll end up picking in the top 5, if not the #1 of next year's draft. And if we do, Connor Cook has to be a serious consideration. He's is the anti-Stafford if you will, doesn't have a cannon arm like Stafford, but is very accurate. And in stark contrast to most of the recent top QB picks, he's not a gimmick QB, he's played in a pro-style offense his entire collegiate career, and I'm sure that his skills will translate into the NFL well. Depending on what changes in the offseason, and on who's running the show come Aug 2016, they might even consider sitting Cook behind Stafford for a season and let him work on his weaknesses. Which won't be such a bad idea, but I think he can start day one. If we're going to go with a new QB and start him off the bat, I think a roster haul on offense would be very important for his development. In our case, trading Stafford and CJ would be step 1. Then getting some potentially cheap WRs who can run routes and develop chemistry with the QB. Rod Streater, Mohamed Sanu, Alshon Jeffery if it doesn't work out with the Bears are three good free agent options. How you justify trading CJ and Staff to clear up some cap space is by building a real offensive line with that $, again through free agency, overspending if needed. At tackle, Donald Penn is an older option, but could provide a solid year or two. Kelvin Beachum is a premier pass-blocker, exactly what a new QB would need. There are also some good FA guard options. I just hope that if we do take a QB, we don't Lionize it and just hope he does well. I've said since the formation of this site in 2004 you need a franchise QB. I wasn't convinced that Staff wasn't that the first few years especially after 2011, but reality has set in since. I don't see Connor as the anti-Staff, he would have to add mobility to be that. I still think the future of the position will require more athleticism, a guy who can create on the move and pick up first downs with his legs as well. You add a down field threat that makes coverage go deep with a guy who can scramble and cause havoc on a stretched defense with accuracy and now you have something. I see Rodgers as the step in that direction. I actually dislike mobile QBs, they don't last very long. With the exception of Rodgers, who isn't really all that mobile, I can't think of a single top flight/elite QB who runs around a lot. Russell Wilson is a product of the program, and the jury is still out on Cam Newton. We all know what happened with RG3 and Kaepernick. Every other running QB in the league has been a flash in the pan at best. I'd rather go with a pocket QB with a good arm and can throw the ball accurately. Which is what Cook brings to the table. So, how often do you draft a QB Pablo? Let's say the Lions trade Stafford this coming off-season, and they have the top pick in the draft. They go QB. He starts in 2016 from day one. He struggles, as most rookie QBs do in their first season. Do you burn a high pick on a QB again? Or do you go with a three year plan? Four years? In reality (despite what I said in another forum posting), unless another team was willing to part with a first or high second round pick, I'd keep Stafford and still draft the rookie QB in 2016. Maybe the competition is what Stafford needs. If not...well, teams always lose their starting QB in the first six weeks, and at that time the value for Stafford should be pretty decent. I would like to see the Lions get a more mobile QB as well. A passing QB that can run, not a running QB that can throw. I agree. If we can get a first for Stafford, pull the trigger. Use our pick on a QB and that pick on an elite defender at any spot or a LT. I'd like a QB with some mobility and escapability but I agree that a throw first run second QB is what I'd want. Completely unbiased opinion as I am an MSU fan, but I'd be all for Cook. Obviously he has weaknesses just like every prospect, but one thing that sticks out to me is he is a leader - something Stafford is not. He might not have that "cannon" of an arm, but time and time again it has been proven that is not completely necessary. Its nice dont get me wrong, but not required. Regardless, I dont see the Lions going QB. Too much loyalty. I'm a State fan also but I don't get all the admiration for CC. His receivers are making him look good. This year they've struggled to beat mediocre teams, and in my opinion are overrated. Afraid M will make that painfully obvious come Saturday. If the Lions want to draft a QB to groom under Stafford as a potential replacement/competition, I'm all for it, should have already happened IMO. That's on Mayhew. Inability to recognize the needs of this team as well as inability to recognize talent at all. You keep drafting QBs until you hit. Say you do take a QB in round one next year and aren't sure, do you risk another high pick on a QB? What are they losing in the 2nd round? Best, LeShoure, VanNoy - I can go on all day. What did the Pack lose drafting Rodgers in round one when they had a HOF QB on the team? Would you rather have Russell Wilson Ryan Broyles who the Lions took the round before (they took Dwight Bentley that year in the 3rd BTW). This organization is inept. As of now, I'd rather the strategy by to draft a QB until you get lucky rather than try to build an entire team which they proven for 50 years they cannot do. I'm all for taking a QB high in the next draft or two. I'm not opposed to drafting a developmental QB in the mid rounds after that. I'd like two QBs on the roster with potential. I don't believe in carrying 3 QBs for the most part. Carrying Moore was a waste of a roster spot, look at the Cowgirls - Romo goes down, they put in their backup and then bring in Cassell - what is the point with Moore? QB is by far the most critical spot on the team, the Lions should know. Let's grab a couple and take our chances... What are we risking - an injury or fumble prone RB? A LB destined for ST? Address the QB spot, then go after OL to protect them. Can always add skill positions later. Regardless, this team needs an ID - ideally at the QB position... Those are the teams that win the Lombardi Trophy, we unfortunately just have Lombardi - I want the trophy! Drafting in round one? Round three? And just because the GMs of THIS team failed to find success in the second round, does that mean the next GM will also continue to miss? The difference between the Packers and the Lions is that the Packers drafted Rodgers for value. If you recall, it was between him and Alex Smith as the first overall pick. Many saw Rodgers as a top five talent, but the teams between San Fran and Green Bay didn't have QB needs and wanted to fill their needs with their R1 picks. So GB, who already had a pretty strong roster, were able to spin the wheel and take a chance on Rodgers. If the Lions are missing on other positions in round two, what makes you think they would magically find a franchise QB in round two. For every one Russel Wilson there is are five Pat Whites. I agree. They are inept. For every one good player they draft, they draft two mediocre players and three busts. You think drafting QB after QB is going to change their aptitude in judging talent? And how exactly do you determine if you got 'lucky' when you have a handful of QBs trying to get equal amounts of snaps in practice? The problem isn't who the Lions have drafted as much as their failure to recognize the fact that taking the player was a mistake. How long did they keep inept players at various positions? Look at how they have stuck with Tulloch this season. Whitehead played MUCH better than Tulloch, but they put Tulloch in there regardless. I completely agree. Which goes back to what I was asking. I would be fine with the Lions drafting a QB in round one of the coming draft AND keeping Stafford. If nothing else, find out if the stronger level of competition has a positive effect. He never really had any strong competition since he's been here. If he fails to step up his game, then trade him to someone looking for a QB. I said for the past two years the Lions didn't need a third QB on the roster. When Stafford was getting hurt, it made sense. But he's played the past four years without missing a game. After a couple seasons of that you'd think they'd realize it was an unnecessary move. But once again, it goes to the overall ineptitude of the coaches and front office. As for drafting developmental QBs after that....I have no issues with that either. I would likely use a mid to late rounder every other year on a QB, just to see if they develop, at least into a quality backup with potential to be a good starting QB. 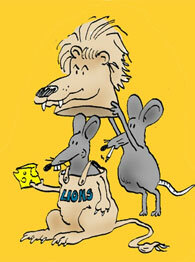 In the end, it comes down to the Lions getting a GM and scouting staff that know how to do their job. It's something the Lions haven't had in a LOOOONG time. Up and until they can find a staff that knows how to evaluate talent, draft accordingly, move around in the draft to get the best value for players they like, and get good FAs without breaking the bank, this team will be mired in the muck they are currently in. I don't disagree in the least. Which is why I was saying last season that Stafford was NOT the guy, and I was criticized up and down about it by many people, including you, IIRC. Get a QB, build both lines, then get the rest. I wasn't ready to pull the plug quite yet last year, he was in the first year of a new offense and won a lot of games late and help lead the team to the playoffs. He only threw 12 picks and hit over 60% of his passes for the first time. Plus he was 26 with an extra year on his contract. In addition, with a late pick there was no great QB option in the draft. With 8 picks already to just 6 TDs, an 0-5 record, and nothing of significant long term value around him it is looking like a better time to hit the reset button. The Lions selected Stafford in 2009, how many QBs have they drafted since then? ZERO! Everyone likes to talk about the Packers, and they were smart taking Rodgers with a HOF QB already on the team. But who is the model franchise this century and what have they done? In 2000, the Pats had Drew Bledsoe under center and selected Tom Brady in the 6th round. The Pats have drafted 7 more QBs since taking Brady including a number in the first 3 rounds. Honestly, I much prefer the Pats draft strategy to the Lions - even if it doesn't work out in the short term over the long haul it only makes sense. That's six just in the last decade, and where are the Browns now? I understand where you're coming from, in today's NFL, you might as well not show up if you don't have a competent QB. But, throwing your darts blindly hoping for one to hit the target isn't the right approach. In my opinion, it all starts with a good coaching staff, Caldwell and company clearly isn't that. If you look at the most successful teams throughout history, they aren't teams who copied someone else's scheme and tried to force it on their roster. We need coaches who have the intelligence and experience to make their own offense based on the pieces they have. Even if it's loosely based on some other system, it isn't a carbon copy with a few sprinkles, which is exactly what Rod Marinelli tried to do and it is also what Lombardi's doing. I can promise you, if Lombardi had Brady/Rodgers under him, they'd struggle too. Lombardi is a Brees guy, and that's all he is. As a side note, if the Lions for some unthinkable reason retain Caldwell/Lombardi, I don't want them to pick Cook. I think he has a bright future ahead of him, and these morons will just ruin it like they're doing to Stafford. I'm all on board for either of them. If not, grab a tackle for the next 10 years. Reiff has been playing solid, though, so a trade down wouldn't surprise me. If the Lions wind up with a top 10 draft pick while they might be able to draft a franchise like QB even though it's doubtful any of them will be a gifted as Stafford. If we do wind up with a top 10 draft pick I would rather spend that draft pick on a left tackle and move Reif to the right side. Stabilizing the offense line is a must no matter who the quarterback is going to be. Reif like Backus is an ok left tackle but if the Lions want line that can run and pass block a better left tackle and right tackle is needed. The Lions have not a had pro bowl lineman since Kevin Glover left town. The Saints had 3 during their great offensive run. The Saints had 3 during their great offensive run. And Drew Brees! If you have a chance at a franchise QB you take it. He would probably sit for a year behind Staff if he isn't traded and even if he does play the Lions aren't going to do much - you grab the LT next year.